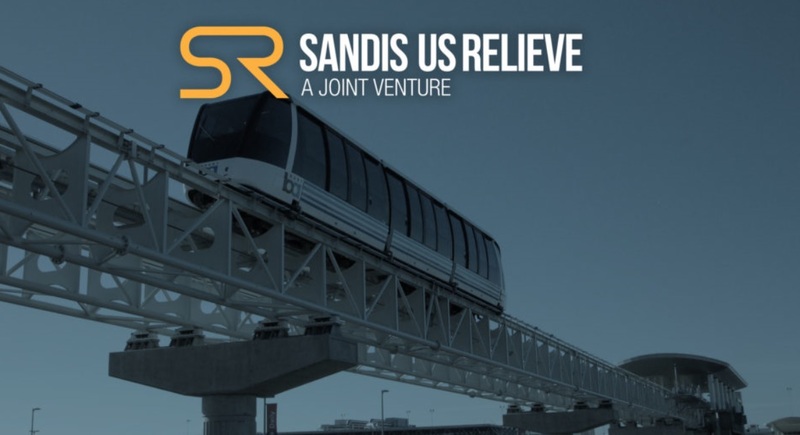 Relieve Engineering is pleased to announced, that in partnership with Sandis, our joint venture team has been selected by Dragados Flatiron Joint Venture as the most qualified consultant to provide construction survey controls for the California High Speed Rail. Construction Package 2-3 is a 60-mile route located within the counties of Fresno, Tulare, and Kings and the cities of Hanford, Corcoran and Allensworth. The Project calls for construction of at-grade, aerial, and possible below grade sections of high speed train, relocation of existing BNSF tracks for approximately 5.5 miles, possible crossing of existing BNSF railroad tracks, construction of waterway and wildlife crossings, and roadway reconstructions, relocations, and closures. The contract signed with Dragados-Flatiron JV consists in survey services that includes analyzing data files from the designer, confirming primary project survey controls, establishing secondary project survey controls, check and certify field layouts, quantity verifications and prepare survey reports and drawings for submittal to the Authority. Ken Olcott, Principal and President of SANDIS said “this project will be a major milestone for our surveying department and our company as a whole. Throughout the company’s history we have worked on a number of major transportation projects, but this one will have the largest impact”. Construction Package 2-3 (CP 2-3) represents the continuation of construction on the California high-speed rail system south towards Kern County. 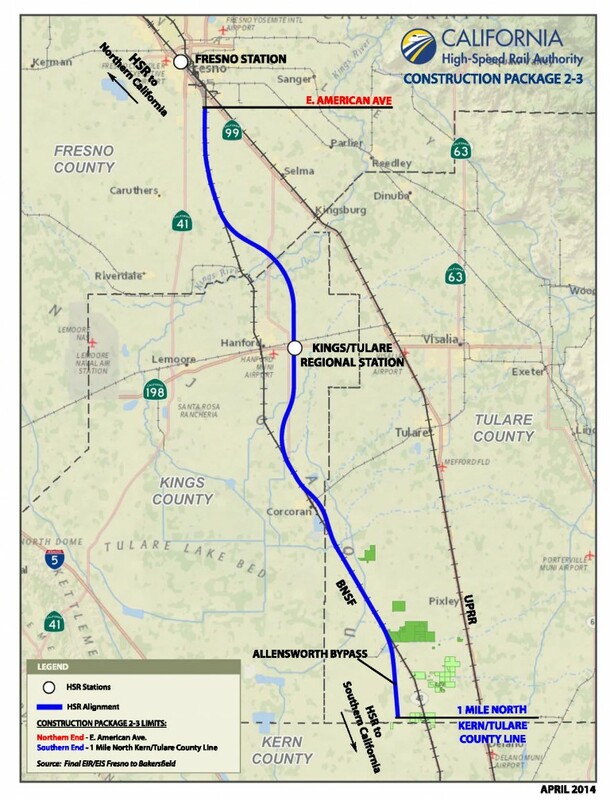 CP 2-3 will extend in excess of 60 miles from the terminus of Construction Package 1 at East American Avenue in Fresno to approximately one mile north of the Tulare-Kern County line. CP 2-3 will include approximately 36 grade separations in the counties of Fresno, Tulare and Kings, including viaducts, underpasses and overpasses. The estimated value of the contract is $1.5 billion to $2 billion. CP 2-3 is located within the Fresno to Bakersfield project section. “Today is a significant milestone as we continue building the nation’s first high-speed rail system,” said Authority CEO of the California High-Speed Rail Authority Jeff Morales. “The proposals underscore the value of world class competition and the design-build approach to deliver high-speed rail in California”. 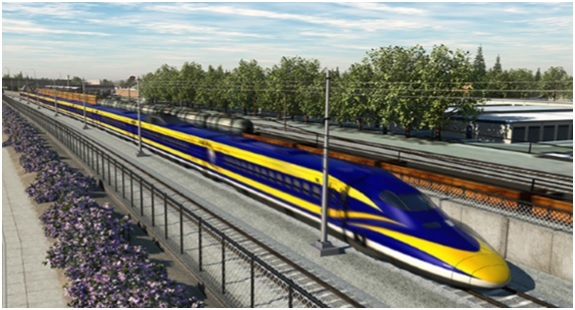 The California High-Speed Rail system is envisioned to connect all California population centers with a high speed rail system to achieve the goals of reducing airport congestions, reducing roadway congestion, supporting population growth and improving air quality. The California High-Speed Rail system is being designed to connect in to existing rail systems. In addition, the California high-speed rail is the first of its characteristics in the United States and the star project in infrastructures. It is expected to cost $ 68.000 million and when it will be completed by 2029, it will link the two mega-regions of the Southwest, San Francisco Bay and Los Angeles Basin (600 km) in 2 hours and 40 minutes. Today it takes between six and eight hours by car. It’s an hour by plane. On an undetermined date, that line will arrive to the south up to San Diego, near the Mexican border, and will have a total of 24 stations. SANDIS-US Relieve Joint Venture, combines significant resources to manage and execute successfully the surveying for the construction package 2-3 of the California’s high speed railway. The Joint Venture has combined skills and experience of both companies forming a highly specialized and qualified binomial. SANDIS Civil Engineers Surveyors Planners and US Relieve International Civil Works (SUSRJV) have partnered in a Joint Venture to bring experienced, expert and highly qualified professionals to projects that require a large number of services, including: Civil Engineering; Traffic engineering; Surveying; Monitoring; Location of Services; 3D Laser Scanning; Building Information Modeling (BIM); Data Capture and Geographic Information Systems. Between both companies we added 76 years of experience in the development of large complex projects. The SUSRJV team is prepared to successfully lead long-term contracts that require the administration and management of technical personnel, over long distances and involving hundreds of job requests. With the constitution of this Joint Venture we seek to develop new businesses, to share synergies, so that the actions of the members acting jointly, cause a superior effect to the individual effects of the companies acting independently.